Absolute Blast well represented at State Softball tournaments! Congratulations to all of the Absolute Blast players that are representing their high school team in their respective state tournament. More than half of the 29 AB players that played on their high school varsity team are playing on the final weekend of the season. Updated with final team results. Taylor Rhinehart (Woodinville) – Champions! Gina Wyner (Woodinville) – Champions! Rachael Rhinehart (Woodinville) – Champions! Lauryn Rhinehart (Woodinville) – Champions! Molly Taketa (Woodinville) – Champions! Megan Taketa (Woodinville) – Champions! Paige Grover (Woodinville) – Champions! Camryn Scott (Inglemoor) – 5th Place! Olivia Zufelt (Lake City, ID) – 2nd Place! Mackenzie DeKay (Inglemoor) – 5th Place! Erin McGrath (Woodinville) – Champions! Katie Pippel (Bellevue Christian) – 7th Place! Sierra Hein (Woodinville) – Champions! Hope Fleischman (Everett) – 7th Place! Congratulations to all the Absolute Blast players who competed for their high school teams this season. An impressive total of 28 athletes from the 14U-Brooks, 16U Gold-Weir, Gold-Rhinehart and Gold-Hagen teams were honored with selection to 2016 Pacific Northwest All-League teams, as published by league and local media outlets. Congratulations to former Team Rhinehart player Carly Campana! Carly Campana decided to step away from fastpitch and pursue her goals in Ultimate Frisbee, and it has paid off for her at an early age. At 16, Carly has been named to the US National U-20 Woman’s Team. Carly will be traveling with the US National team this summer to compete in the World Junior Ultimate Championships in Wroclaw, Poland. Congratulations Carly, your AB family is very proud of you! Shipway Commits to Willamette University – Go Bearcats! The Absolute Blast community would like to congratulate Maya Shipway from the Hagen Gold team on her recent commitment to play softball for Willamette University in Salem, Oregon. Way to go Mayua! Go Bearcats! Swain Commits to Loyola University – Go Ramblers! 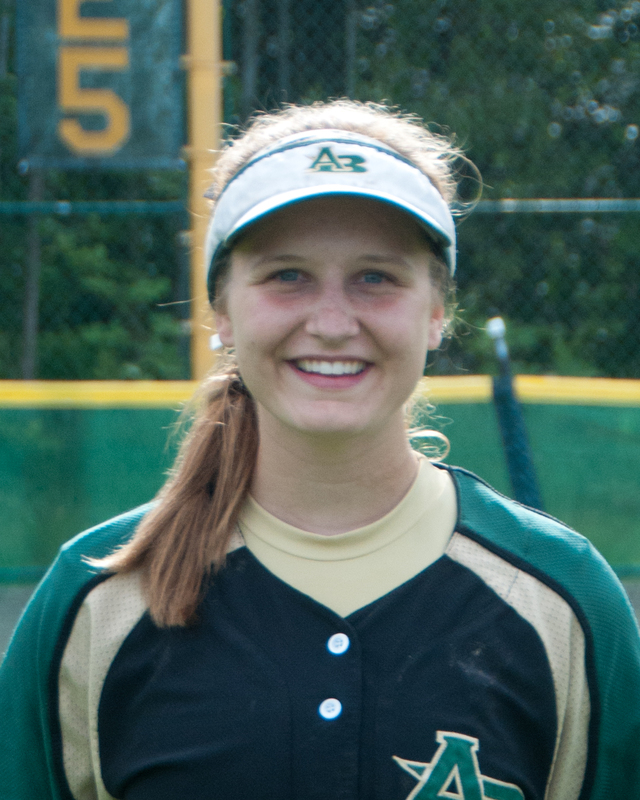 The Absolute Blast community would like to congratulate Sophia Swain from the Gold team on her recent commitment to play softball for Loyola University in Chicago. Way to go Sophia! Go Ramblers! Congratulations to both Absolute Blast 14A teams on a great tournament at the ASA Seattle Metro 14A Championships this past weekend. After running through the rest of the field, the two AB 14A teams found themselves in the finals, against each other. Showing a level of dominance in this competitive tournament rarely seen out of a single program, both the older ’00 and younger ’01 AB teams defeated all comers on their road to the finals. The ’01 AB team started bracket play by blanking the Elite Diamonds-Miles team 4-0, then took care of the Bellevue Blast ’00 team 18-8 before finishing off a tough Blaze Intensity team in a tight game 8-7, placing them in the finals. The ’00 AB team had the benefit of a bye in the first round, then showed their dominance in a win over the Acers ’01 team 14-0. In their semi-final game the ’00 AB team came up against rival LadyHawks-Hardy, defeating the Hawks handily, 16-6, and landing them in the finals against their ’01 colleagues. The championship game was a hard fought battle, going into the 5th inning scoreless. But in the end, the older ’00 team came out on top, 8-0. The entire Absolute Blast program is very proud of the ’00 and ’01 teams and is excited about the future of the organization with two such strong teams at the 14A level. The future at AB is indeed bright. Congratulations to all the athletes, parents and coaches from the ’00 and ’01 AB teams. Go AB! Turner Commits to Amherst College – Go Jeffs! The Absolute Blast community would like to congratulate Julia Turner from the Gold-Glenn team on her recent acceptance to and commitment to play softball for Amherst College. Way to go Julia! Go Jeffs! Goodwin Commits to Northwest Nazarene University – Go Crusaders! The Absolute Blast community would like to congratulate Kendall Goodwin from the Gold-Glenn team on her recent commitment to play softball for Northwest Nazarene University. Way to go Kendall! Go Crusaders! On October 3rd Woodinville High School and University of Washington graduate Amanda Fleischman will return to the WHS campus to be inducted into the school’s Sports Hall of Fame. 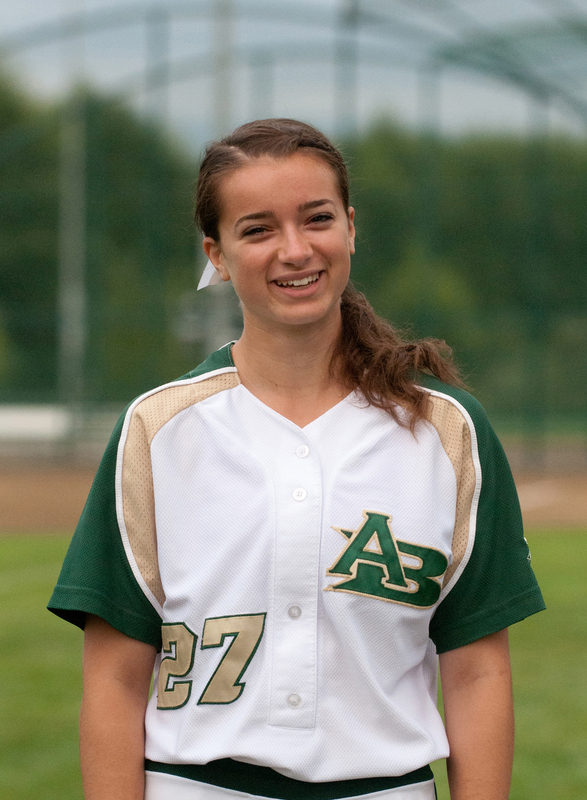 Her remarkable accomplishments on the field are now being extended to the community as Fleischman recently became a coach for the Absolute Blast Fastpitch Association, a Woodinville based select softball program. The opportunity to work with her best friend- Woodinville High School Coach Dani Weir- helped to drive Fleischman (whom Dani refers to as “the Fleisch!”) to start her own coaching career. Fleischman and Weir have played together since their Woodinville West Little League days, and recently Fleischman was a bridesmaid in Weir’s June wedding. The two have a shared passion for softball, coaching, and service. “Amanda is someone I look up to. She is confident and competitive- and I have been lucky to have her as my best friend since we were 9 years old. She has a platform now to teach and coach and for me to see that happen is really special”, Weir says of Fleishman. “The Hall of Fame is a great way to inspire our high school athletes and recognizes the talent that Amanda brought to the game and continues to share.” Fleischman is now coach to the 12U team, which includes 5 of Woodinville’s All Star little league players fresh off of their District championship and 3rd in state finish. “These girls are very young and very impressionable. The opportunity for them is incredible when you think that they have such a high caliber athlete guiding them. Amanda lives and breathes what great coaches are made of. Coach Dani is going to see the results when they get to high school”, said Woodinville Softball VP Jess Smith. Fleischman’s ties to Woodinville have elated her team- like when they discovered that Coach Amanda was also a (former) pupil of Mr. Butz’s 6th grade class. “Amanda was a wonderful student” said Wellington teacher John Butz. “I’m not at all surprised she has been so successful”. As a student athlete, Fleischman led WHS to the state championship as a junior and league championships as a junior and senior. She was a two-time All-King County softball pick- first team all-state pick as a senior and second team pick as a junior. 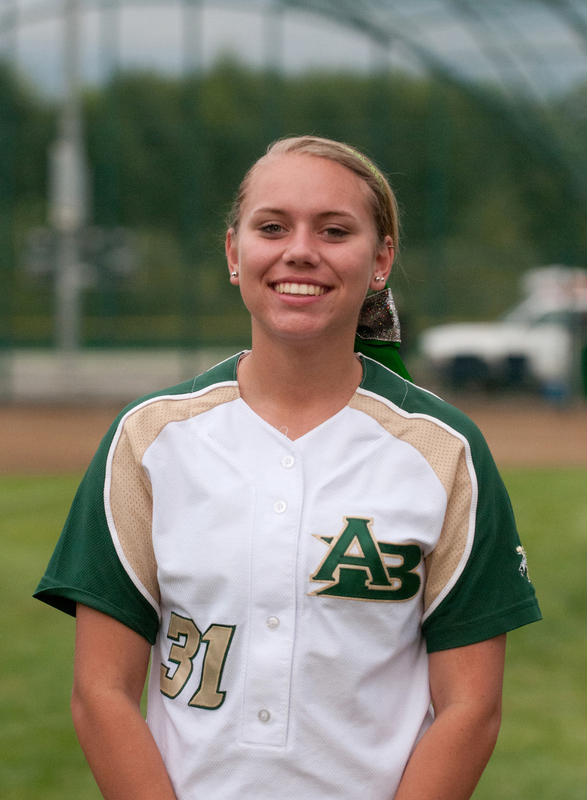 Amanda was team captain as a senior for the WHS Flacon fastpitch Softball team, and also lettered in basketball. She set a career record in steals and ranks second all-time in rebounds for the Falcons. She was first team All-King County as a senior for basketball. She was named the Seattle Times Eastside Athlete of the Year as a Senior and also a ‘Most Outstanding Student’ nominee. In 2003 she was named to the “All-World” Western National Team. Her accomplishments continued as a player for the University of Washington Husky’s, where as a Junior the team successfully won the Women’s College World Series in 2009. Fleischman finished her senior year and last as a softball player with an Honorable Mention to the All-Pac-10 Conference and Second-Team Academic All-Pac-10 team. She was student assistant coach to Coach Heather Tarr while finishing her degree from the Foster School of Business. “Our association is very grateful for having Amanda as part of our coaching staff”, said Steve Dailey, President of the Absolute Blast. “We understand the level of importance as it pertains to providing our current and future players with coaches of Amanda’s caliber. Being a former Blaster herself, Amanda truly exemplifies two of our core values- mentorship and service. (She) is truly investing in our children both on and off the playing fields”. Fleishman will travel to New Zealand after her Hall of Fame induction and return in December to coaching.